A Clean Slate | Michael A. Ventrella, Esq. An en banc panel of the Superior Court has ruled a district attorney’s arguments centered around “generic policies” aren’t enough to prevent a petitioner from having his or her juvenile record expunged, so long as they have satisfied the necessary statutory requirements. The decision, reached by a 7-2 majority, held there are “numerous adverse consequences inherent in the existence of a juvenile record” and that the state’s expungement statute, found at section 9123 of the Criminal History Information Act, sought to eliminate them. Because of that and the rules of statutory construction, the panel ruled, an expungement petition must be granted unless a prosecutor can provide the court with a specific reason justifying preservation of a juvenile’s record. Section 9123 reads that a juvenile’s delinquency records “shall” be expunged, so long as a petitioner meets the necessary criteria and a prosecutor does not show cause to the contrary. The decision overturned a trial court ruling that refused to grant an expungement because the petitioner had admitted to selling drugs in school and was 17 at the time. Judge Richard B. Klein, joined in a dissent by Judge Correale F. Stevens, wrote that the trial court judge was within her discretion to refuse an expungement. Michael T. Rakaczewski of the Monroe County District Attorney’s Office could not be reached for comment. 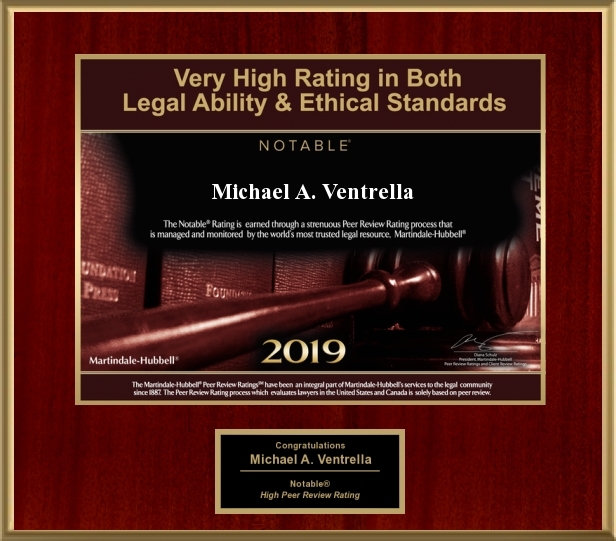 The juvenile’s attorney, Michael A. Ventrella from Tannersville, Pa., said that, in June 2007, a unanimous three-judge panel reached the same decision as the court en banc. That decision was unpublished, Ventrella said. The case docket shows Klein sat on the three-judge panel, as well. The district attorney filed for reargument after the panel’s decision and the panel recommended the court hear the case en banc. In Gantman’s opinion, Ventrella said, the case was aptly summed up in the first footnote. According to Gantman’s opinion, A.B. was charged in 1999 with having 185 Ecstasy pills in his high school. He was accused of planning to sell them and admitted to the offense of possession with the intent to distribute. A.B. was 17 at the time of the offense and was placed with Youth Services of Pennsylvania for nearly two years. He was placed on probation for six months after his release, according to Gantman’s opinion. In 2006, though, A.B. petitioned for his juvenile record to be expunged. It had been more six years since he completed his probation. He had not been charged or connected to any alleged crime since that time. The district attorney argued against A.B.’s expungement and the trial court refused to grant the petition, according to Gantman’s opinion. In reaching that decision, the trial court cited to section 780-119(a) of the Controlled Substance, Drug, Device and Cosmetic Act, which barred expungement for people indicted for the charge of possession with the intent to distribute. During reargument, A.B. asserted he was entitled to an expungement as a matter of law and that the trial court erred in interpreting the statute as one that affords the court discretion. The district attorney responded by arguing the court has discretionary powers in such matters. Further, the district attorney argued, it had showed cause to refuse the expungement by arguing that A.B. was 17 at the time of the offense, that he admitted to the offense and that the offense involved selling drugs in school. Gantman, though, ruled the trial court erred in relying on the Controlled Substance Act, because that governed only criminal offenses, not juvenile delinquency offenses. And, because A.B. was not indicted for possession with the intent to distribute, the bar on records expungements did not apply to him. Instead, section 9123 of the Criminal History Information Act was the proper statutory mechanism to be used, Gantman ruled. “In relying on Section 780-119(a), the Commonwealth essentially treated Appellant’s juvenile adjudication as synonymous with a criminal record, which blurred the fundamental and material differences between the Juvenile Code and the Crimes Code,” Gantman wrote. Further, section 9123 of the Criminal History Information Act favors expungement and the district attorney has the burden of meeting the “show cause” exception, Gantman ruled. The district attorney was unable to meet that burden, Gantman wrote. In a two-page dissent, Klein wrote it did not matter whether he “or any other judge” would have made the same ruling as the trial court judge. Instead, what mattered was the fact that the decision to grant or refuse an expungement petition was within her discretion. “If the crime were committed a few months later, then it is clear that there could be no expungement,” Klein wrote in his dissent.